Easily serve guests and show off your favorite vintages with this wood and iron wine rack. 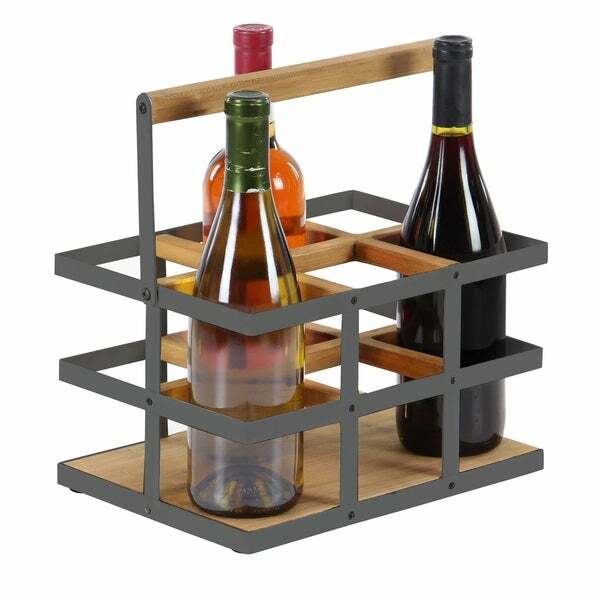 Featuring a cage inspired frame and a chic color scheme of rustic brown and grey, the wine rack offers sophistication for any decor. The sturdy rack holds up to six wine bottles.